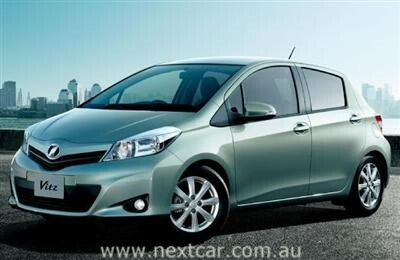 Toyota's next-generation Yaris is set to arrive in Australia during the final quarter of 2011. The new hatch features a completely redesigned exterior and a substantial increase in cabin space. As the image shows, designers sought a more expressive, Euro-inspired attitude for Yaris (known as "Vitz" in Japan). The resulting dynamic shape delivers greater on-road presence and suggests more responsive handling. An agile and sophisticated silhouette was achieved by trimming the roofline by 15 mm while lengthening the body by 100 mm and the wheelbase by 50 mm. The pay-off is a roomier cabin, especially for rear-seat occupants. Clever features include UV-reducing glass in the front-door windows and a single windscreen wiper with an integrated washer nozzle for better cleaning. Yaris has been a sales success in Australia since its launch in October 2005 when it replaced the Echo. Last year, Yaris sales grew 10.3 per cent to 21,452 units. Stay tuned to Next Car for further details on this new model over coming months..